Platte County was named after the Platte River. Missionaries or explorers named the river, which in French means “flat and shallow.” It was first called Loup. The county was officially established in 1856 and included the eastern half of the present county. Three years later, it’s boundaries were redefined and included an area on the west known as Monroe County, making up the boundaries of today. Monroe County with the town of Monroe the county seat was absorbed by voter approval into Platte County in 1859. That same year, advance agents came to this area from Columbus, Ohio. Upon reaching the Loup River, they marked the site for a town to be named Columbus. The new settlement grew and soon had a mill, a hotel and a general store. The Board of Commissioners conducted their first meeting in 1857. It was 10 years later before they had a courthouse. The pace of growth for Columbus grew when the Union Pacific Railroad went through Columbus in 1866. A courthouse was completed in 1870. Request probate records, providing the name of deceased and date of death, if known. Pages of interest will be copied and mailed to you at a charge of 25 cents per page copied. Request copies of marriage records. Please provide as much information as possible, along with your return address, and $1.00 per record requested. Request copies of divorce records, or other District Court proceedings. The City Clerk has Columbus Cemetery records (and ONLY those – Catholic records are located at the church office). Territorial counties. The county of Platte as originally defined by the Territorial Legislature in 1855 was assigned Townships 17, 18, 19 and 20 in Ranges 1, 2, 3, and 4 East of the Sixth Principal Meridian (which runs through Columbus), an area 24 miles square. Monroe County, created at the same time, was given Townships 17, 18, 19 and 20 in Ranges 1, 2, and 3 and part of 4 west of the Sixth Principal Meridian. A part of Range 4 west at that time was within the confines of the Pawnee Indian Reservation and legally not open to white settlers. The areas designated in 1855 as Platte and Monroe were mere paper counties, more or less drawn as a means of subdividing the Territory. There were no white settlements in Platte and Monroe Counties in 1855. Platte and Monroe counties voted to consolidate shortly after both had been formally organized. In the creation of Colfax County the Legislature took away Ranges 2, 3, and 4 east from Platte County and gave them to Colfax County. Platte County finally wound up with Range 1 east of the Meridian line and Ranges 1, 2, and 3 and part of 4 west of the Meridian line. Arcala/Arcola. A town laid out on the farm of G C Barnum southwest of Columbus. The town company built a cabin for Joseph Wolf to live in, in order to save the site. Arcala did not exist long enough to establish a post office. Barnum Ranch. Named for Guy C Barnum who settled there in 1860, whose ranch was an emigrant rest stop southwest of Columbus. (In the 1960s it was the farm of Casper “Cap” Mueller). Bedford. It was staked out as a town site in 1857 near the town site of Columbus but never got beyond the platting stage. Behlen. This station of the Union Pacific Railroad is the site of the Behlen Manufacturing plant at Columbus. Bismark Township. It was created by the county board in 1871 and comprised three of the present townships Bismark, Sherman and Creston. The name was taken from the German settlement in the area. Lake Babcock and Lake North lie in the southwest corner of the township. Just northeast of Lake North across the intersection was once a 240-acre tract that was Platte County’s “poor farm” from 1896 until 1955. Boheet. The post office was established November 23, 1882 and discontinued January 14, 1905 when mail service was transferred to Creston. It is not an Indian word meaning “to stop” as has been mentioned in earlier writings. The District 46 School was called the Boheet School. It was in Section 8 of Sherman Township. Brookfield. Named for the Brooks family. An old map, ca 1888, shows the site which was a town, post office or railroad whistle stop. It lay along the railroad between Humphrey and Creston in Humphrey Township. Buck Island. It was located in the Loup River southeast of Columbus. A trapper by the name of Buck lived on the island in the 1840s before Columbus was settled. Bunker Hill. Rural neighborhood once located near St. Edward, Boone County. Burrows. The town was platted by the Union Land Company July 25, 1889. Before it secured a post office the name was changed to Tarnov. Burrows town and township were named for James Burrows. Butler Township. 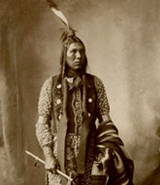 Mentioned as early as 1867, it lies southwest of Columbus along the Platte River. Duncan is included within the township. A town of Prairie Creek may have been in it also. Witchey’s Island is in the Platte River in the township. Camp Platte/Columbus Camp. The site of an encampment of the Veterans Conservation Corps (VCC) on the Groteluschen farm twelve miles north of Columbus. A creek ran through the camp and an artesian well on the farm was the camp’s water source. The camp was disbanded in 1941. Cayuga. A former station four miles west of Columbus on the Union Pacific Railroad where trains let off and boarded passengers. The station is probably all that ever was at Cayuga. Probably named for Cayuga, New York. An Indian word. Cherry Grove. Proposed town that never got beyond the platting state in early county history. Cherry Hill. The post office was established June 17, 1869 and the name was changed to Duncan January 2, 1880. It was along the railroad in Butler Township. Cleveland. The town started in 1857and was named for the town in Ohio. It was three miles northwest of Columbus, which would have been in the Shady Lake area at that time. It never existed long enough to secure a post office. The coming of the Union Pacific Railroad in 1866 marked the end of Cleveland. Columbus. The Columbus Company, made up of a body of men who had lived in Columbus, Ohio laid out this town-site in the summer of 1856. It was incorporated October 2, 1858 and is the county seat of Platte County. The precinct has the same name. Cornlea. The name Cornlea is compounded of “corn” and “lea” and means cornland or land of the corn. Named by Welsh settlers and platted by the Western Town Lot Company. It was laid out September 30, 1886. Creston. The town of Creston was laid out August 23, 1886 and incorporated in 1890. It was named because it was located on top of a hill from which the waters flowed eastward to the Elkhorn River and westward to the Platte River. The post office was established in 1875 and the township was not named until 1876. Much of the town was destroyed by a fire in 1900. It is in Section 18 of Creston Township. Dorrance. Post office name changed from Lost Creek September 10, 1885 and name changed to Oconee April 8, 1887. It was named in honor of W H Dorrance, division superintendent of the Union Pacific Railroad but changed to not conflict with mails and freights to Dorrance, Kansas. It is in Section 2 of Lost Creek Township at the intersection to Platte Center and west to Monroe. Duncan. It was laid out October 24, 1871 and was originally named Jackson until it was found there was already a town named Jackson in Dakota County. The post office name was changed from Cherry Hill to Duncan January 2, 1880. It was named for a Mr. Duncan, conductor on the Union Pacific. In 1882 St Stanislaus Church was the first Polish Catholic Church in Nebraska. The area was settled by the Swiss in 1865 and the Polish in 1868. The town is about 8 miles west of Columbus on Highway 30. It is in Section 1 of Butler Township. Eagle Island. Former stage stop on the Western Stage Lines from Omaha to Fort Kearny. Farrall. Post office established October 15, 1872 and discontinued July 29, 1884 when mail service transferred to Newman Grove. The post office name suggested was Pleasant Valley but it was revised to Farrall in honor of Thomas Farrall, the first postmaster. It was located two miles northwest of Lindsay and probably had nothing other than the post office. Galley’s Ranch. Emigrant rest stop southeast of Columbus. It acquired distinction as a rest stop for fellow Mormons and others who traveled the trail. Galva. Swedish settlement in northwest Platte County. Probably named for Galva, Illinois. Its exact location is unknown only that it was on Looking Glass Creek probably southwest of Lindsay. Gardner or Gardner Station. Post office moved from Merrick County July 31, 1884 and discontinued in 1887. It then became a station on the Union Pacific Railroad. Probably named for Joseph Gardner, first postmaster. It was located in Section 17 of Butler Township. Gleason. The post office was established May 27, 1873 and discontinued March 22, 1880. Named for Patrick Gleason, first postmaster. The only remnant of Gleason is the St. Patrick Cemetery five miles northwest of Columbus (a quarter mile north of the present day Circle H Trailer Park) and four miles southeast of Platte Center in Shell Creek Township. Gould City. A railroad terminal proposed by the Omaha, Niobrara & Black Hills Railroad near the center of Platte County but never completed. Granville. Former community located in Granville Township in north central Platte County. Grand Prairie. Post office established September 20, 1878 and discontinued January 18, 1881. Named for Grand Prairie Township, formerly called Stearns Prairie. A faction opposed the former name and Grand Prairie was accepted as a compromise name. Gruetli. Rural neighborhood and church named by Swiss settlers for a Swiss location (pronounced Greet-lee). Located about eleven miles west of Columbus and northwest of Duncan. Grunewald. A locality southeast of Humphrey in Humphrey Township established on the Columbus-Norfolk Stage Road in the early 1870s. Hill Siding. The former siding and stock yard on the Chicago and North Western Railroad four miles from Creston was used when car loads were too heavy to make the steep grade in one haul. Sugar beets grown in the Creston-Humphrey area were also shipped from there. Humphrey. Humphrey was laid out and platted November 25, 1880. Mrs. Leach, the first postmistress of the village, named it after Humphrey, New York, the town from which she came. The present Humphrey is about three miles from the site of the original post office. The precinct has the same name. Jackson. Railroad name for Cherry Hill Station, given by Elisha Atkins and E H Rollins, officials of the Union Pacific Railroad. Located in Section 1, Butler Township. Keatskatoos. Post office established August 22, 1873. Name changed to Norwich July 14, 1882. Name is a Pawnee Indian word for the Platte River. The name of Indian trader L W Platt seemed similar to the Indians and they named him and the store Keatskatoos. The Keatskatoos trading post stood on the site of an earlier store or trading post called Zig Zag. It was in Loup Township possibly in Section 5. LaLoup. Early proposed town that never got beyond the platting stage. Lindsay. The town was named by the Connelly family after Lindsay, Ontario, Canada. The town site was situated on the Connelly homestead. The post office was established December 14, 1874. Long Branch. The rural store and service station, once called Lusche’s, later became a tavern named for the Long Branch Saloon on the TV series “Gunsmoke”. The buildings were removed by 2017. Looking Glass. Post office established December 2, 1873 and discontinued May 7, 1904. Named for nearby Looking Glass Creek. The community was centered about eight miles south of Lindsay and 18 miles northwest of Columbus in the vicinity of Looking Glass Methodist Church. It was in Section 4 south in Walker Township. Lost Creek. Post office established May 27, 1879. Name changed to Dorrance September 10, 1885. Town named for an area creek which during dry times would appear and disappear at intervals. It was in lower Section 2 of Lost Creek Township. Matson. Post office established July 5, 1882 and discontinued July 25, 1892. Possibly named for first postmistress Mathilda Matson, for Alfred Matson, or for early landowner William Matson. An old map, ca 1888, shows it on the railroad between Monroe and Genoa in Section 10 of Monroe Township. Metz. Post office established January 14, 1876 and discontinued August 14, 1885. It was 6 miles north of Monroe on Shell Creek below Moty and Wolf in Lost Creek Township. Probably named for Metz, France. Millville. Former locality in northern Platte County. It was mentioned in an 1868 clipping “the Union Creek and Millville settlements”, suggesting a location somewhere in the vicinity of Humphrey. Monroe. Leander Gerrard of Columbus named the town in commemoration of President James Monroe because no other town had been named for President Monroe. Brothers Leander and E A Gerrard founded the town which was laid out in 1889. Present town is about two miles southwest of the original site (ca 1857)and moved because of the railroad location. The precinct has the same name. Monroe was the county seat of Monroe County which existed only briefly. Moorman. Station on the Union Pacific Railroad. Moty. It was located between the branches of Shell Creek, evidently at church settlement in Section 5 or 8 of Lost Creek Township. Nebo. Post office established August 27, 1875 and discontinued December 4, 1875. Probably named for Nebo, the mountain in the Holy Land where Moses died. There is also a Nebo, Illinois. It was located in southern Sherman Township. Neboville. Post office established October 4, 1880 and discontinued October 6, 1903. Established a few years after the first post office of Nebo had been discontinued. It was located northeast of Columbus in Sherman Township and settled by a handful of Swiss settlers and was strictly a post office and not a community. It is in Section 26 of Sherman Township. Norwich. Post office name changed from Keatskatoos July 14, 1882 and discontinued January 9, 1883 when service was transferred to Matson. Probably named for a city in Connecticut, New York, Ohio or Vermont. Oconee. It was platted February 5, 1880 and replatted on May 21, 1883. It was originally named Lost Creek for a small stream of water north of the town. The post office was known as Dorrance which led to mail mixups with Dorrance, Kansas. Oconee was chosen as the name because it was unlike that of any other post office in Nebraska or neighboring states. The precinct has the same name. The remains of Oconee lie south of the highway between Columbus and Monroe. It was in lower Section 2 of Lost Creek Township. Okay. Post office established June 9, 1881 and discontinued April 6, 1894. Post office was named by W J Thurston and accepted because of its uniqueness. Located in Section 10 of Monroe Township. Oldenbusch. Post office established September 7 1899 and discontinued May 31, 1904. The name is derived from the first part of Oldenburg, Germany from where many of the settlers came and the last part of the surname of J. H. Hellbusch or the first postmaster Eilert Hellbusch. The settlement was thirteen miles straight north of Columbus and about seven miles south of Creston. St John’s church and cemetery are all that remain. In its heyday it also had a creamery, a store, a blacksmith shop, a poultry ranch and in later times a telephone exchange. In 1868 when a railroad from Columbus to Yankton SD was proposed, the survey ran through Oldenbusch. Palestine. Post office name changed from Cone November 6, 1883 and discontinued October 7, 1903. Probably named for the county of Palestine, or Palestine Illinois, or Palestine Ohio. It was in Section 24 or 27 of Woodville Township. Palestine Valley. Post office established March 8, 1878 and discontinued October 7, 1903. It was located about halfway between Genoa and Lindsay and approximately eight miles east of Saint Edward in Section 27 of Woodville Township. Parkersburgh. Early projected town that never advanced beyond the platting stage. Pawnee. Early projected town that never advanced beyond the platting stage. Probably located on the present site of Columbus when the county was known as Loup. Peck. Former station on the Union Pacific Railroad. Located near Humphrey. Platte Center. It is so named because of its central location in Platte County. It was laid out and platted on January 22, 1880. It is located Lost Creek Township. Pleasant Valley. It was the name of the precinct where Creston is located. Creston Township was called Arlington precinct (according to Curry), later changed to Pleasant Valley and finally becoming Creston Township. Postville. Post office name changed from Wolf October 17, 1878 and discontinued September 10, 1902 when mail service transferred to Monroe. Former hamlet possibly named for Alfred M Post who resided in Platte County and served six years as a judge on the Nebraska Supreme Court. It was located about eleven miles north of Monroe. In 1886 the Park Hill Orphanage was operating in Postville. The Postville Cemetery is all that remains but it is not at the actual town site. The town was between Sections 14 and 23 or in Section 25 of Joliet Township. Prairie Hill. Post office established February 11 1879 and discontinued October 22, 1879. Descriptively named for its location. It may have been a neighboring community of Palestine or perhaps was another name for Palestine. President. Post office established June 30, 1882 and discontinued March 18, 1898. Probably named during a presidential election. The name Arthur was submitted during the presidential campaign of Chester Arthur. Another post office named Arthur already existed and the name President was submitted. It was in Section 16 of Monroe Township. Quaker Settlement. It was located about five miles west of Monroe along highway 22 north of the point where the highway begins to curve south into Genoa. The Friends/Quakers erected their meetinghouse in 1886 south of the highway. The group died out by the early 1920s. Rosenburg. Post office established July 23, 1901 and discontinued May 9, 1904. Postal authorities used the spelling Rosenburg. Probably named for Rosenborg, Denmark by Danish settlers. St Ansgar Church, established in 1884, was the center of the community and it flourished while the town did not. Saint Anthony. Post office established February 11, 1879 and discontinued April 6, 1880. Locality and former post office was situated 2 ½ miles south of Tarnov. It was centered around a Catholic church by that name, based presumably on a religious society founded by Father Sebastian Zubilla in 1878. The church was on the farm of Peter Peff. Saint Bernard. Post office established February 11, 1879 and discontinued March 17, 1906. The former town, located in a German Settlement, was platted by R L Rossiter, county surveyor, in June 1878. The Franciscan Brotherhood owned a section of the land on which they erected a school and church. Bernard Schroeder built a hotel on his adjoining land. The town was named in honor of Schroeder’s patron saint, Saint Bernard. It was located in Section 11 of St Bernard Township. Saint Mary. Post office established March 5, 1878 and discontinued April 26, 1882. Named for a Catholic church settlement founded by priests from Omaha, it was located 4 ½ miles southeast of Humphrey in Humphrey Township. Sheldonville. A station on the Union Pacific Railroad just northwest of Columbus probably named in honor of Addison E Sheldon, Nebraska legislator and historian. Sometimes called the “Sheldon elevator” which was erected in 1914 by C.H. (Chauncey) Sheldon and his son C.C. (Clarence) Sheldon. Springville. Short-lived locality inhabited by a splinter sect of Mormons. It was a Gladdenite settlement established around 1860 which was around for about 3 years and was located 3 or 4 miles west of Oconee near Monroe on Looking Glass Creek. Stearns Prairie. Post office established December 1, 1871 and discontinued August 27, 1878. Probably named for Orson E Stearns who operated a halfway point inn on Grand Prairie, called Stearns Prairie. Stearns was the first postmaster. It was located on Stearn’s farm in Grand Prairie Township. Tarnov. The town was originally called Burrows for James Burrows, an early settler, and was platted by Union Land Company July 25, 1889 and incorporated on November 13, 1889. It was settled by Polish immigrants and the name changed to Tarnov in 1890 after Tarnow (pronounced Taar’-nov), Galacia in Poland. The original town was about a half mile north of the present town. It is in Section 13 of Burrows Township. Timber Hill. Locality near Hill Siding which perpetuated a rural school name. Original name may refer to area timber used by the railroad. Tracy Valley. Name used for a community along Tracy Creek. The creek was named for John Tracy, a well-known settler living in the vicinity of Madison, Madison County, in which most of the creek is located. First homesteaders came to the valley in 1871. Wagners Lake. A community at the southwest edge of Columbus. Walker. Post office established April 16, 1873 and discontinued October 23, 1874. Possibly named for Irishman John Walker who migrated from Ontario Province, Canada. It was on Shell Creek just above Lindsay between Farrall and Lindsay in Walker Township. Walker Township. In the far northwest corner of the county Walker Township was made equal to a township-and-a-half. Lindsay is included in the township. It was named for John Walker who came from Ontario Canada. Warrack. Place mentioned in Platte County history. Former station east of Columbus on the Union Pacific Railroad. Wattsville. It is in the general location of Joseph Watts’ farm 3 ½ miles north of Monroe in 1870. West Chicago. In Woodville Township, a western Platte County locality with a general store. West Hill. Post office established August 19, 1875 and discontinued June 9, 1900. Named by Englishman Hiram Eley, postmaster, for West Hill, England. It lies north of Genoa. Another story says two original settlers in that area lived on two hills a mile or two apart. One was called “east hill” and the other “west hill”. West Hill Cemetery still carries the name. It was located in Section 1 or 2 of Woodville Township. Wolf. Post office established August 19, 1873 and named for Wolf family. Name changed to Postville October 17, 1878. It was in the southwest corner of the T north of Shell Creek in Burrows Township. Woodburn. Post office established October 23, 1878 and discontinued September 14, 1904. It was six miles southwest of Monroe and south of the Loup River in Section 14 or 22 of Loup Township. Several sources suggest it was named for the prevalence of firewood in the area along the river. Woodville. Post office established June 18, 1874 and discontinued May 4,1920. Located in the southeast corner of Woodville Township in Section 17 or 18 on Beaver Creek. Yankee. Former locality in Platte County. Zigzag. Probably named for the zigzag route of the Columbus-Genoa road a short distance northeast of Genoa, in the vicinity or near former site of Keatskatoos. Locations can be found on the website of Findagrave.com along with all known burials up to 2010. Members have walked and taken pictures at all cemeteries. * Potters Field – Columbus – Located in the Columbus Cemetery. * Additional burials in multiple locations: These have not been photographed or put on Findagrave.com. -Three graves in Sec 11, Walker Township, stone in pasture moved from roadway. -Found 2 pits with 2 skulls and bones on Lawrence Rupp’s farm in Sec 30, Lost Creek Township. -Cemetery in Platte Center - St Joseph Schoolhouse - one mile North to corner, then 1 mile West. -Grave of Miksch Oldwell (cave in) at Hiway 81 and Platte Center Junction, south of canal bridge and on west side of road. -A few stones in feed yard on north side of road 4/5 mile east of Tarnov. -Three graves of babies of Fred and Josie Keeler buried in 1920’s in NE¼, Sec 18, Lost Creek Township. -Lone grave of man killed in well cave-in, buried in Sec 31, Shell Creek Township. -Transient buried with his fiddle on Ralph Schumacher corner, Sec 11, Lost Creek Township. -Old Catholic Cemetery now Collegeview Trailer Court in Sec 2, Columbus Township (T 17N, R 1W) Most graves were moved to Columbus or possibly other local cemeteries but unsure if all were moved. History of the church dates to 1877. The first wedding celebrated was on November 7, 1877. The new brick building was dedicated for worship on November 1, 1884. Organized in 1860, St. John's was the first church in Columbus. The first church building was built in 1861. As the years passed, many German and Polish Catholics attended the Mass there, but when St. Bonaventure's Church was organized, in 1877, the German and Polish speaking Catholics became members of that church. The property was signed over to the Franciscans in 1891 and the St. John's parish became a part of the St. Bonaventure's parish at that time. St. Francis Parish began in 1883 with a small wooden frame church. In 1883 there were 14 baptisms; 2 marriages, and 1 funeral. In 1894, the present church was built after the first church became too small for the growing congregation. Built in the Romanesque style, the church is 64 by 172 feet, with a 182-foot steeple. Ten feet were added to the steeple after a 1962 fire destroyed much of the original tower. In December of 1899, Father A. Czech, O.F.M. realized the parish had to have a larger church. A meeting was held and with the $1800 Father had saved, a new church was planned. Excavating began on the next day. It was built in the Gothic Revival architecture, designed by Brother Leonard Dorschied, O.F.M.. The church was started in 1900 and completed in 1901 at a cost of $17,000. The rectory, school-convent, and chicken house were built in 1910 to 1911. Was once called St Patrick Church and was established in 1870. The parish later became part of the St. Joseph Parish. No church records were kept as St. Patrick, entries being made at St John’s, Columbus, and much of the valuable history of the early Catholic settlement was lost. Organized 9/16/1912 Franciscan’s in Nebraska. St. Anthony’s parish in Columbus was founded as a Polish National Parish in 1913. Columbus was established in May of 1856 by a group of men from Illinois and Columbus, Ohio, primarily of German heritage. The site was platted along the Loup and Platte rivers. This trail was located on what is now Seventh St. and first main Street. In 1860 a small log cabin Catholic Church was built on the northeast corner of what is now Eighth Street and Eighteenth Avenue and named St. John’s after the patron saint of the founder John Browner. The log cabin church was replaced with the first wooden frame church in Columbus, located one block north on Ninth Street and Eighteenth Avenue. St. Bernard's was located in the northeast corner of Section 11, Township 20, Range 3 West. The first church was dedicated on November 21, 1878. St. Bernard's church was dissolved in 1971. Located in Joliet Township, near Lindsay, it was the third Catholic parish in Platte County. In 1882 the parish was reorganized and a frame church built on land donated by John Deegan. Rural Humphrey - St. Mary of the Angels Church is filled with memories, but otherwise sits empty on a 10-acre site. It is located 18 miles north of Columbus, a half mile east of U.S. Highway 81, shielded by a row of trees. "The Franciscans in Nebraska," published in 1931, calls St. Mary's "the mother parish of all German parishes in Platte County." Located in the village of Cornlea - It’s history dates back to 1888. The church was completed and dedicated in 1908. Last mass received 1967. Meeting in homes, independent organized 2002 Rev. (of Humphrey) Joliet Township Sec. 19 - organized between 1892 and 1894.
straw-thatched roof and white washed walls. They met in this house for a year then moved to the schoolhouse. A new church was dedicated in 1889 free from debt. The original church building burned and a new church was built. It was on November 16, 1873, when a group of twelve Christians, along with their families banded themselves together to organize a German Baptist Society. These families were from the Shell Creek Township area and the first church was known as the German Baptist Church of Elk Creek, Ne. This name was changed in 1887 to "Shell Creek Baptist Church. Although the church was organized in 1873, recognition was not given until 1883. Located in Woodville Township - organized in the early 1902-1956 started as a mission church and was served by Palestine ministers. St. Luke’s is a local congregation of the United Church of Christ, an American denomination that can trace its roots to the Pilgrims. It was founded as a German Reform church on December 25, 1872, by approximately 20 early settlers and founders of Columbus. In 1899 it was reorganized and renamed, reflecting the German Evangelical Protestant tradition. In 1947 it officially joined with the Synod of the Evangelical and Reformed Church of America. Rural Route, Monroe - Located about 11 miles west of Columbus. People from Switzerland (called Schweizers) immigrated to the U.S. in search of economic prosperity. In the 1860s, Swiss immigrants started settling south of Monroe. 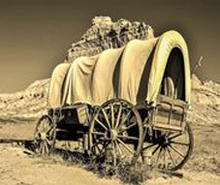 The early settlers lived in dugouts and were frequented by Indians. The Swiss were proud of their long, peaceful heritage and customs. Gruetli Societies were organized across the United States and met to keep the Swiss traditions alive. Gruetli means peaceful valley. Organized in 1919 at the Wattsville School in Monroe. The church was built in 1927. 2704 15th St, Columbus - Articles of Federation of the Presbyterian and Congregational churches were compiled in July of 1914. The church, built in 1922, had extensive remodeling done and a new sanctuary built in 2001. Organized on April 1, 1894 - Name was changed to West Hill Presbyterian Church on September 2, 1894. First meetings were held in 1883 and articles of incorporation filed in 1885. This church is no longer in existence. The first meeting was held in 1880. No longer exists. Organizational meeting was held in 1890. No longer exists. 4807 29th St, Columbus - organized in December of 1993. Services were initially held in the home of its pastor, the Rev. Thomas Cunningham. It has been at its present location since mid-1994. 2764 45th Ave, Columbus - Organized in 1941. 4400 33rd St, Columbus - organized in July, 1865. United Brethren Church was organized in the 1890's and was located on the south side of 7th Street, east of Washington Avenue in Columbus. The church was discontinued some time before 1920. Several churches united to form the Union Church in 1921. No longer exists. RR 1, Newman Grove - Organized in 1882, the church is located in Walker Township. Organized in 1881 and was located at Postville. By 1949, the church was used only for funerals. The church was started by German emigrants from Oldenberg, Germany who had established their homes in and near Loseke Creek Valley.The first church a white frame building, was erected and dedicated in 1877. A steeple and extension were added later. 216 1st Street, Platte Center - The congregation was organized in 1940. Church building was formerly the Episcopal Church of Genoa. It was purchased and moved to Platte Center in 1944. 2406 14th Street, Columbus - The German Evangelical Immanuel Lutheran Congregation of the Unaltered Augsburg Confession, at Columbus, Nebraska was organized on October 14, 1883. In 1928, the first meeting with over 60 people in attendance was held for the purpose of organizing a new church. The membership was made up of former members of the Independent Evangelical Protestant church in Columbus.